Reprint of Mage Knight Board Game To Hit U.S. Retailers Starting April 18th! 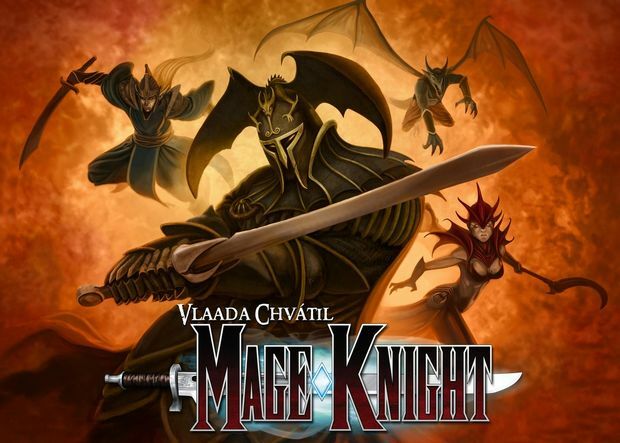 WizKids Games is excited to announce the timing for the English reprint of its 2011 smash-hit epic fantasy board game Mage Knight by acclaimed designer Vlaada Chvátil. The response to the Mage Knight Board Game upon its initial release in November of 2011 was so overwhelming that the first production run — which was anticipated to sustain the market for the entirety of the calendar year — was sold out in just 20 days! Look for your opportunity to live the adventure starting on April 18 when Mage Knight will be available to North American retailers. For international customers, local languages are planned for German and Czech currently with more in the works and exact timing to be determined. Please listen for announcements through your regional distributors regarding availability. Thank you to Vlaada and to all the fans!